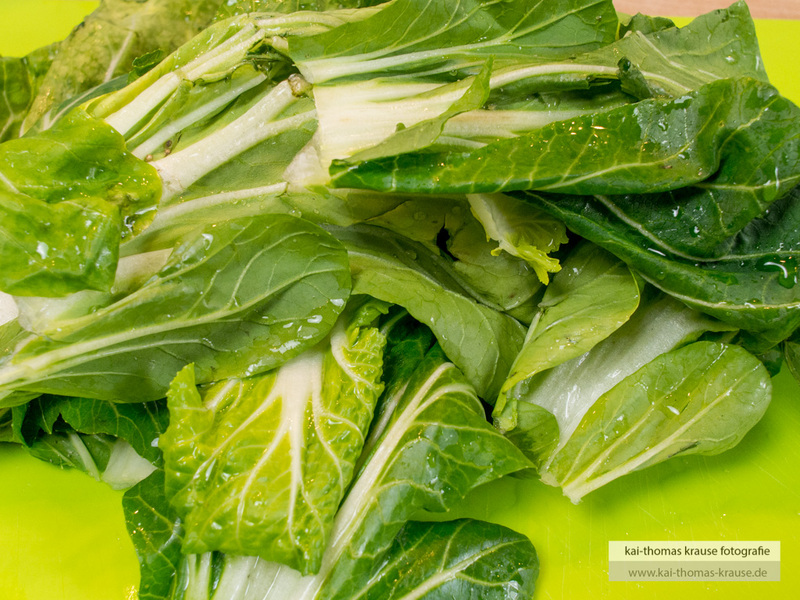 Most of us know pak choi from asian restaurants. If you visit a good super market you also can buy it fresh and introduce to your kitchen. 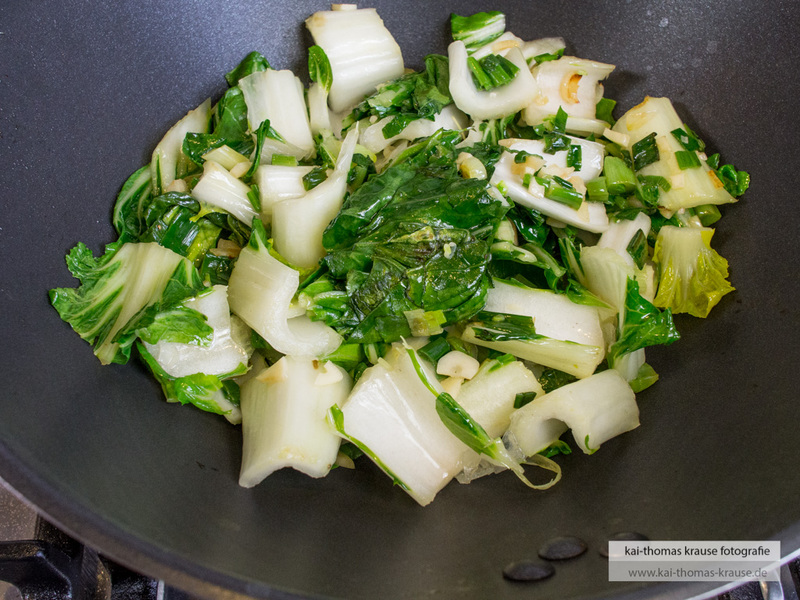 Pak choi is simply delicious for asian dishes. If you prepare it the right way it’s al dente and has a phantastic flavour. 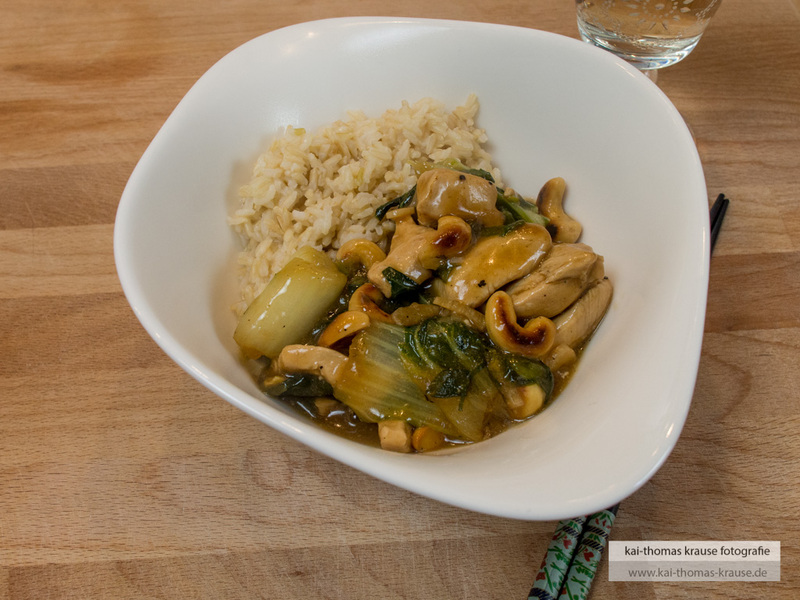 In combination with some chicken breast and cashews you can create a wonderful and quick dish. 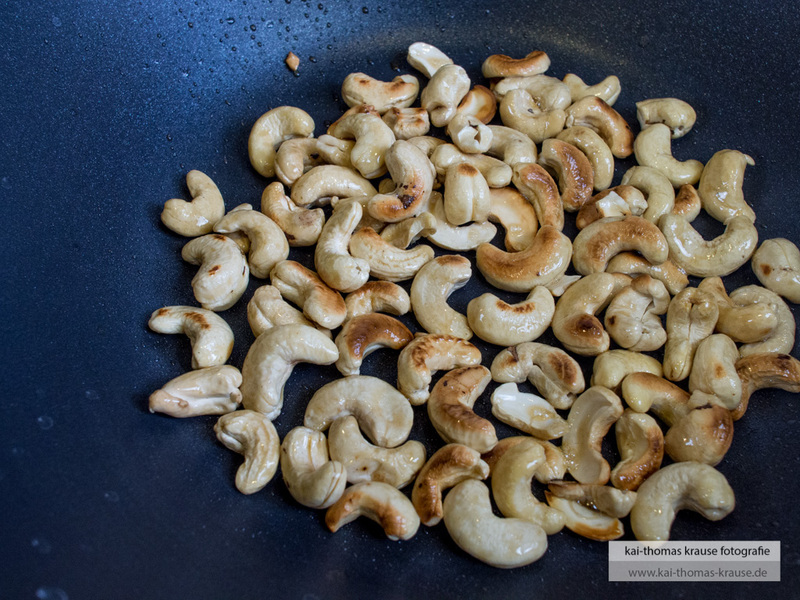 Roast the cashews with a sip of sesame oil. When they are slightly brown take them out of the pan/wok. Wash the pak choi and cut of the root base. Cut the leaves in 2-3 cm big chunks. The spring onion must be cut in small cubes, also the the garlic cloves. 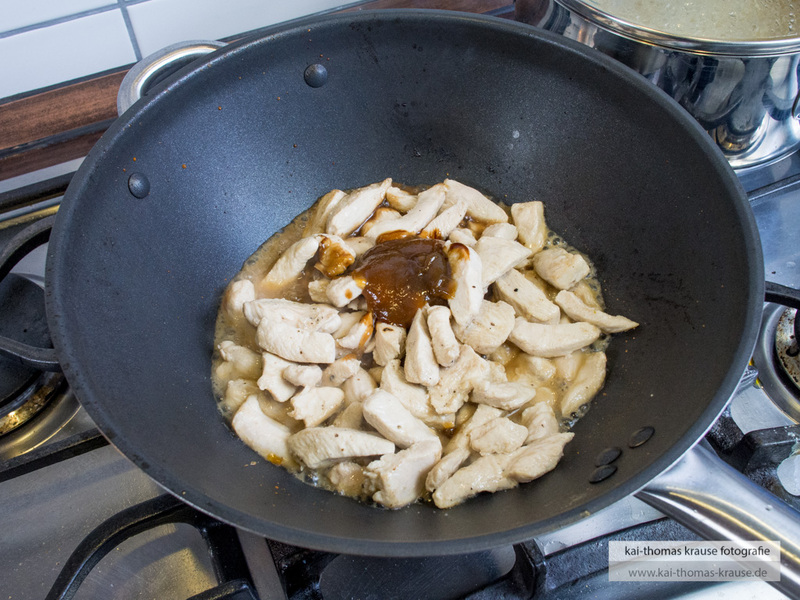 Pour another sip of sesame oil in the pan/wok and place the spring onion and garlic in it. Roast for about a minute. 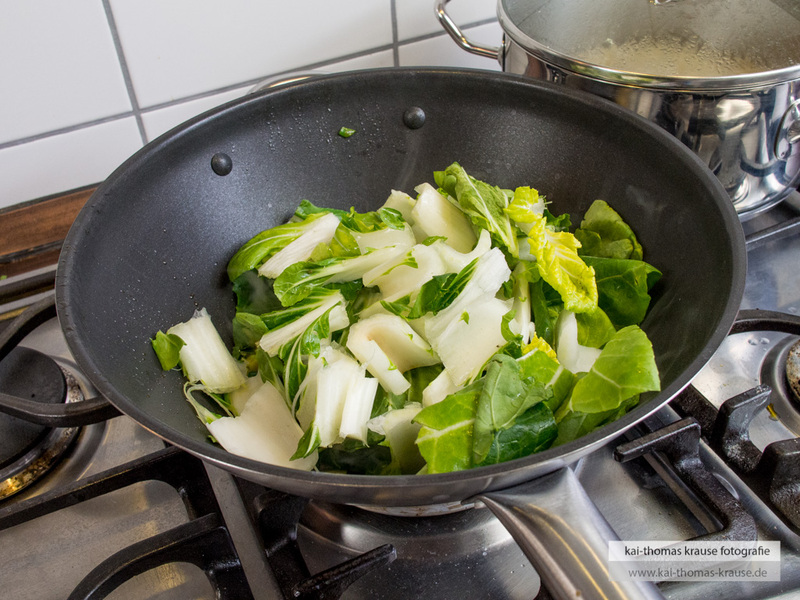 Then add the pak choi and roast until its still crisp. Take all out of the pan/wok and put aside. 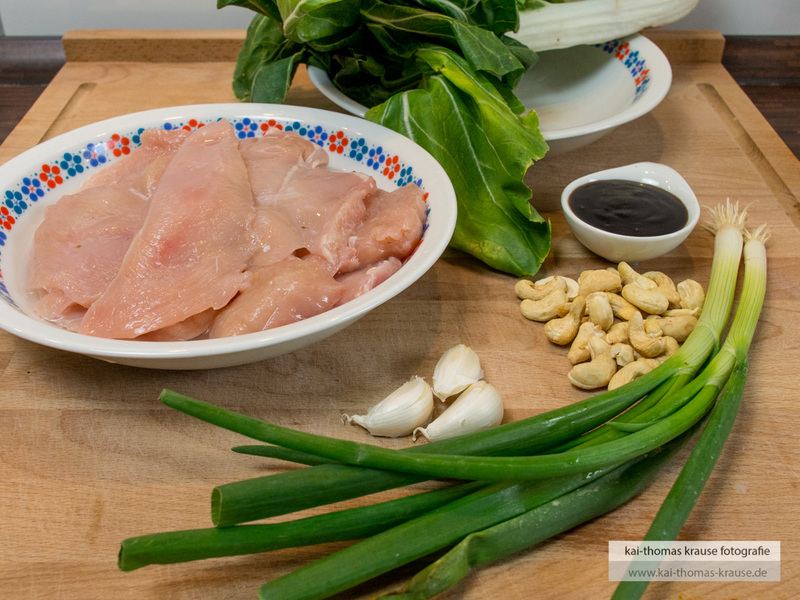 Slice the chicken filet in stripes and roast with another sip of sesame oil until its slightly browned. Pour in the hoisin sauce and roast for a minute. 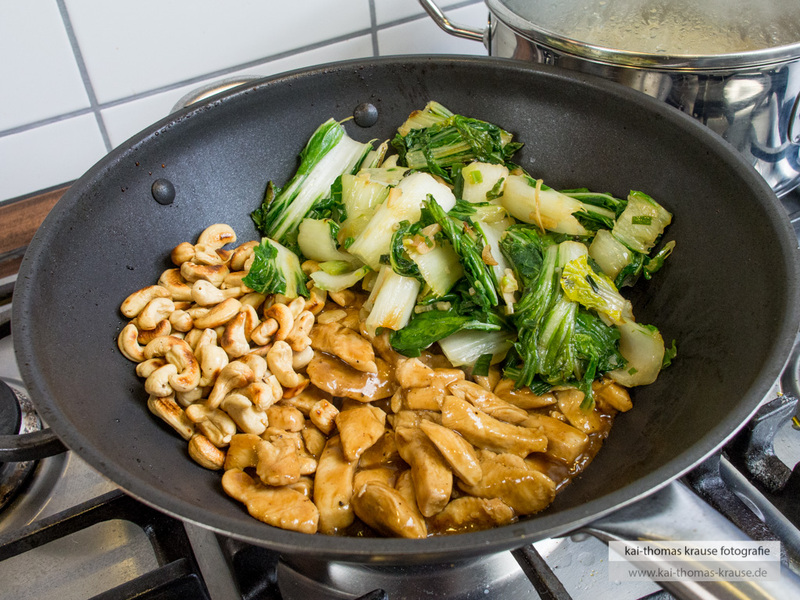 Quench with some water and add back the pak choi and the cashews. Add more water so you have a nice saucy part to go with the rice. If needed you can thicken the sauce slightly with starch. Let all slightly cook until the white parts in the pak chaoi are well-done but still crispy. Serve with rice of your taste. 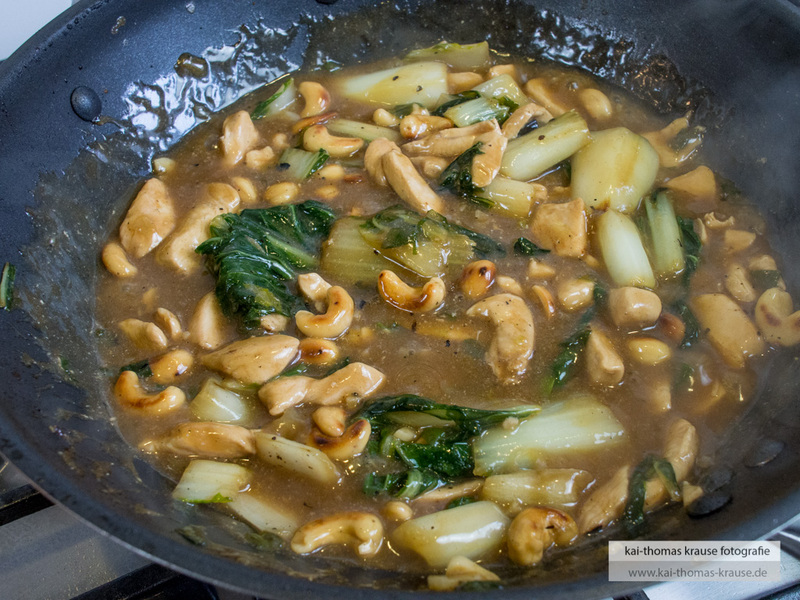 Dieser Beitrag wurde unter English, Kai Style, Main course, Quickly done, Recipes abgelegt und mit Asian, Asiatische Küche, cashews, Hauptgericht, Hähnchen, hoisin, Kai Style, knoblauch, kochen, Pak Choi, Rezept, Salat, schnell gemacht verschlagwortet. Setze ein Lesezeichen auf den Permalink.